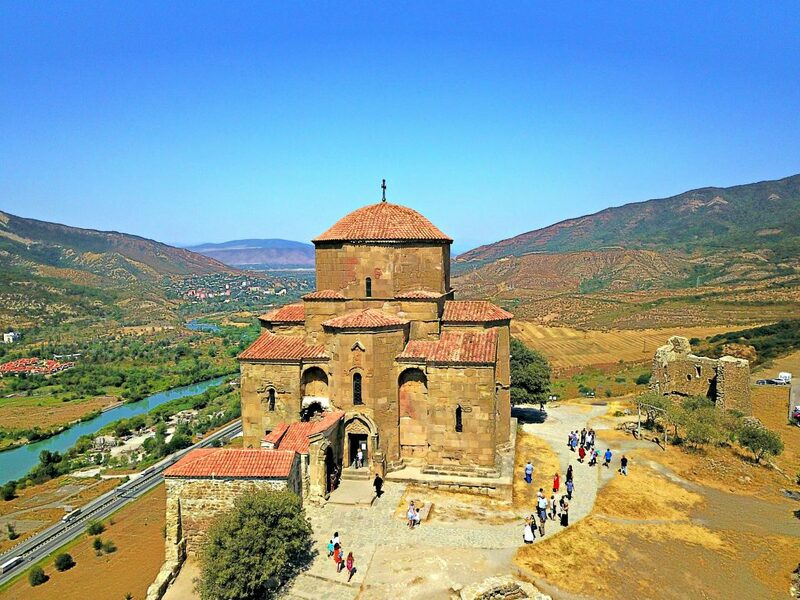 Georgia is one of the most unique countries I’ve had the pleasure of visiting. 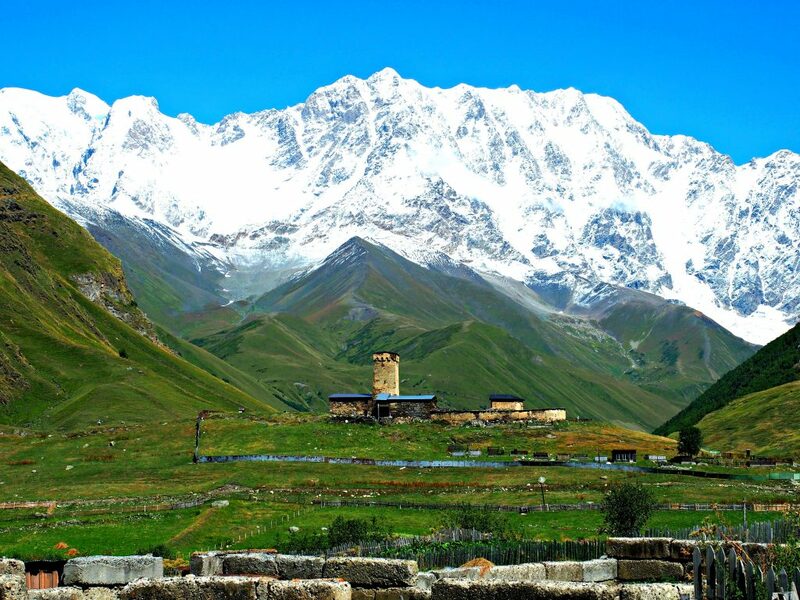 It might be a small country but it it’s landscape is vastly different in each region. From the dry wine region of Kakheti to the snow capped mountain Svaneti region there’s something for every kind of traveler. 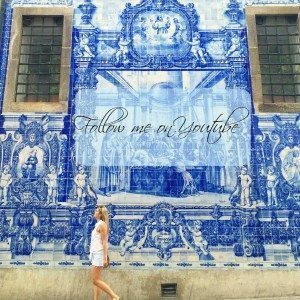 If you have the chance to visit this beautiful country, make sure you visit these special places! This gorgeous capital city has SO much to offer. It’s a mixture of old meets new in the best way possible. Check out this post on what to do there! 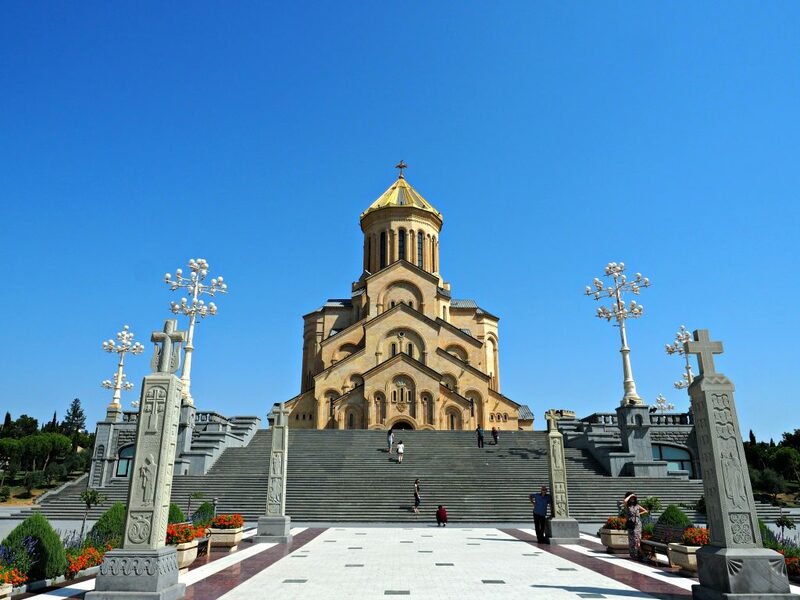 Located in Tbilisi, this church is the highest and most famous in Georgia. 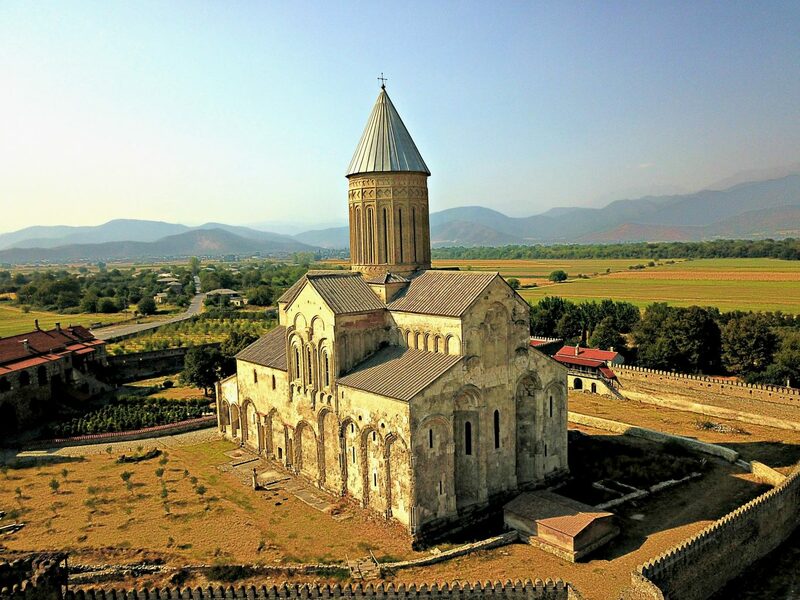 About 20 minutes outside of Tbilisi is the ancient capital of Georgia. This beautiful old city is a perfect day trip to take. 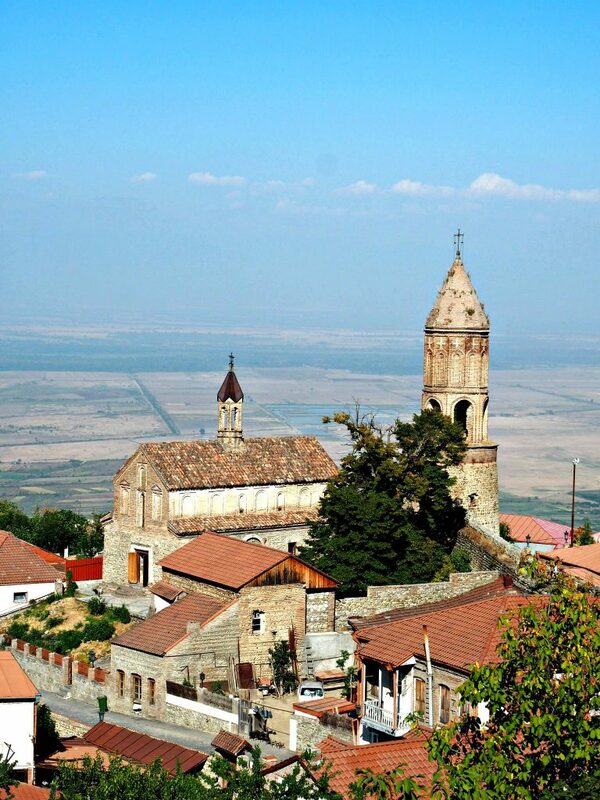 Also a must while there is to see is the ancient Jvari Monastery which has been around since 605 AD. 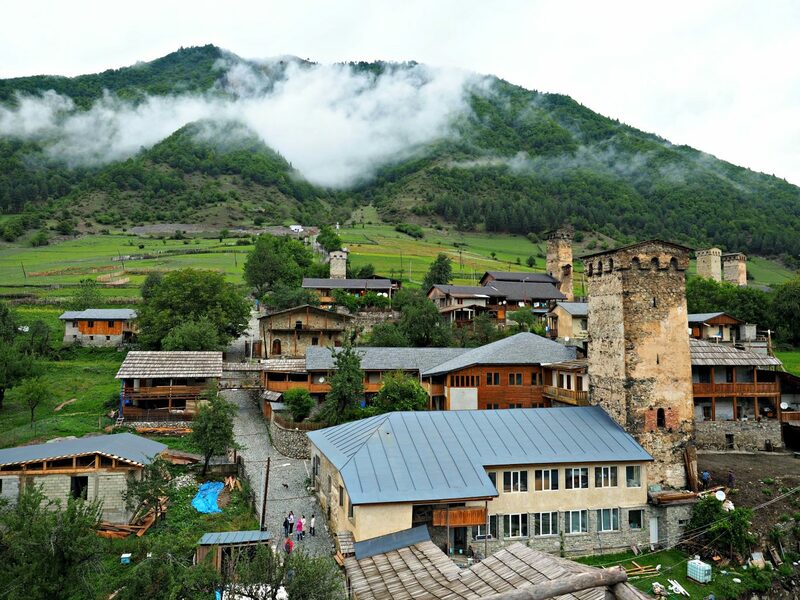 Located in the Svaneti region this lush mountainous area is rich with Georgian history and traditions. 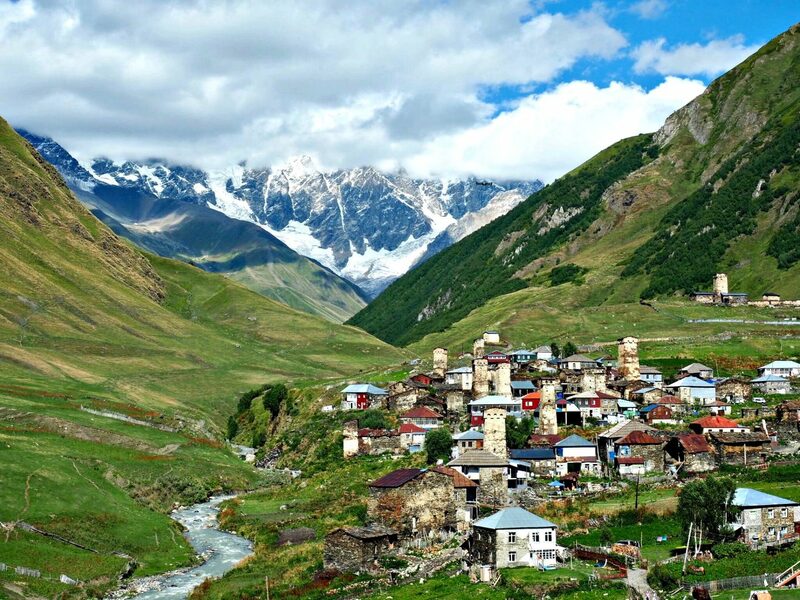 Also located in the Svaneti region, this hard to get to village is the highest occupied village in Georgia. 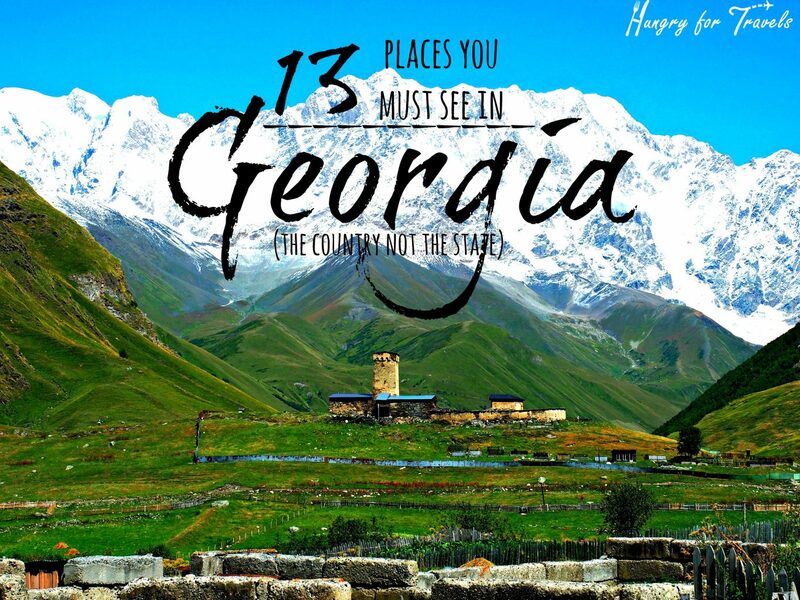 It’s probably one of the most beautiful places I’ve ever seen and a MUST see in Georgia. 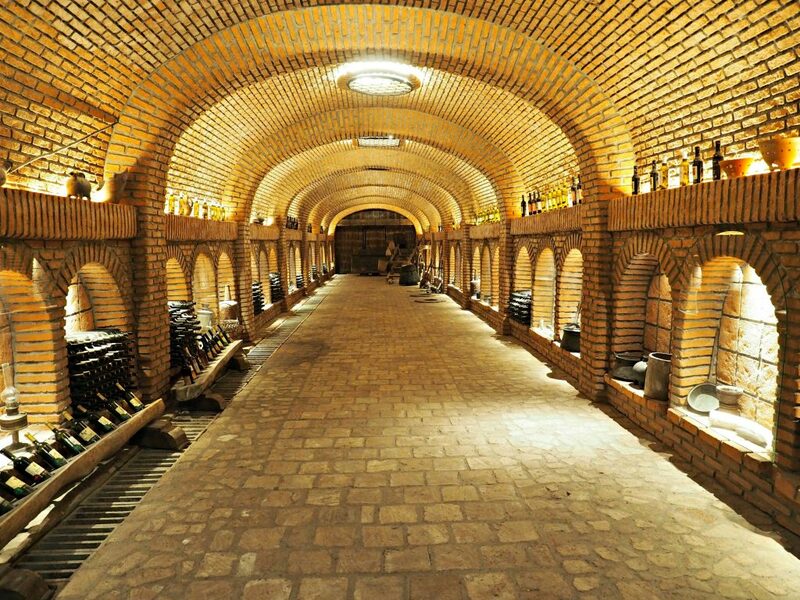 A must go for anyone visiting Georgia and for one reason-wine. 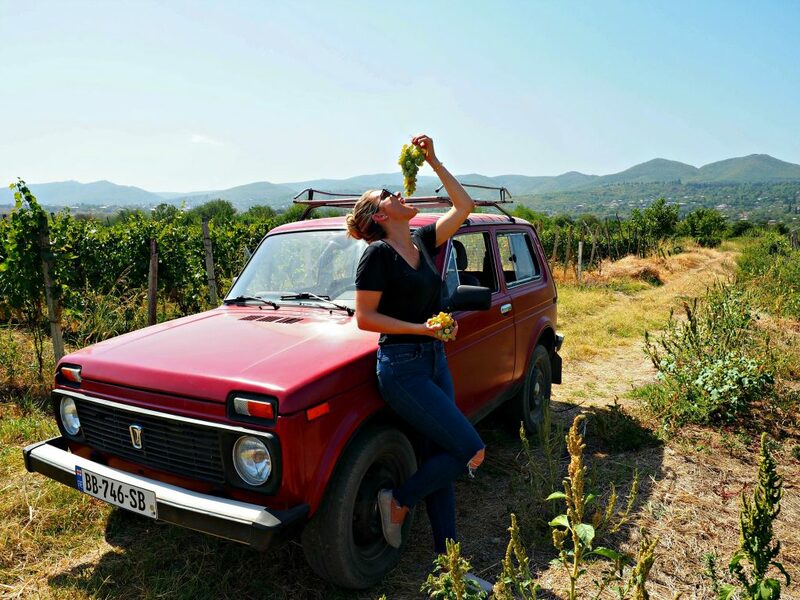 Wine is a huge part of Georgia and a tradition they hold very dearly. Visit the beautiful vineyards that dot the landscape. 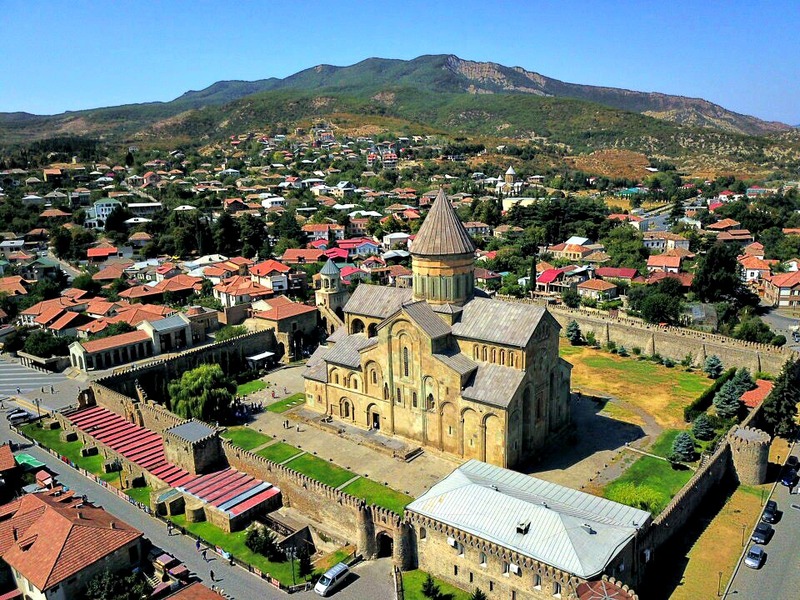 Dubbed the ‘city of love’, this beautiful city located in the wine region of Kakheti is so picturesque you won’t believe its real. 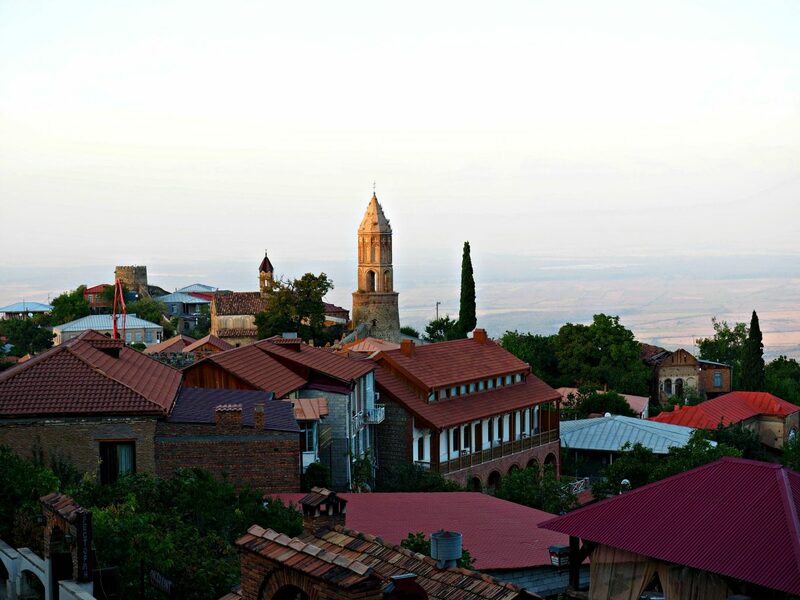 Sit at a cafe, order a glass of local wine, and overlook the vineyards below and the Caucasus Mountains in the distance. Right before the sun sets this city lights up in the most magical way. 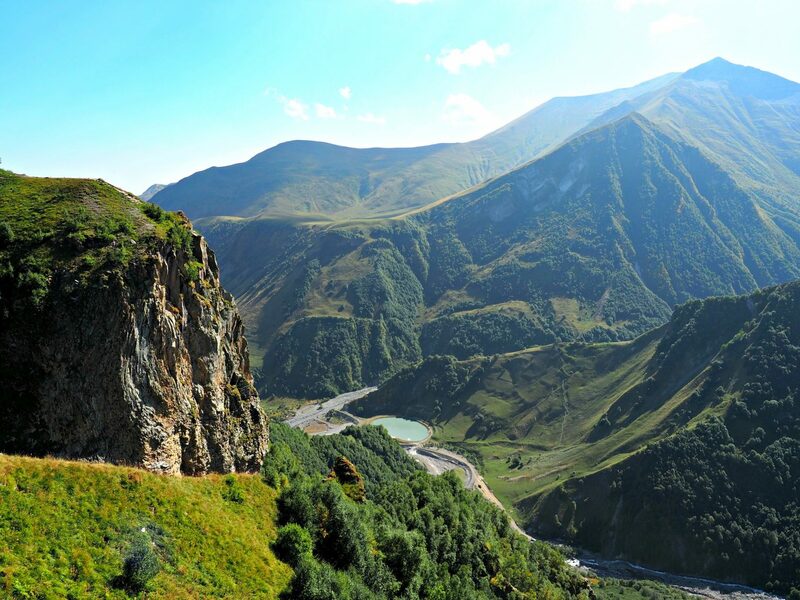 This incredible area borders Russia and is a popular area for skiing. 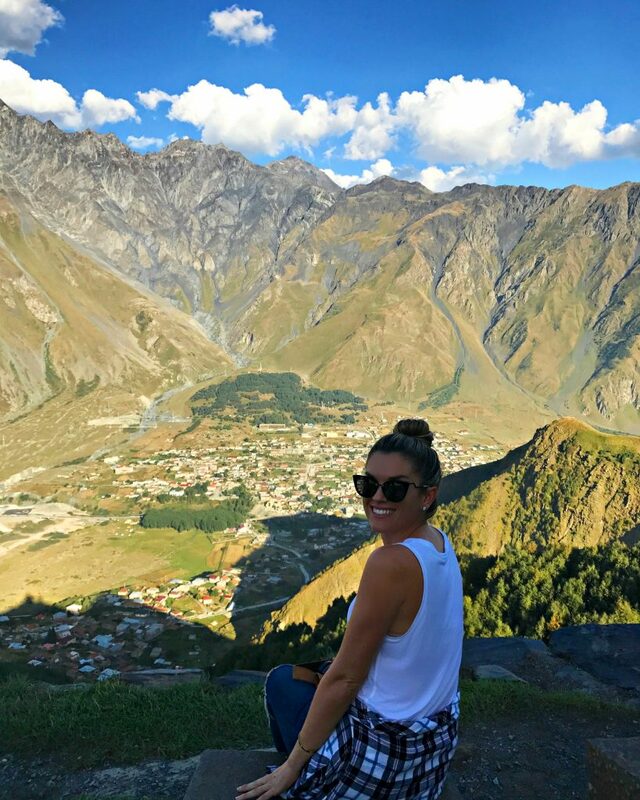 It’s beautiful mountains make the perfect backdrop for any/all pictures. 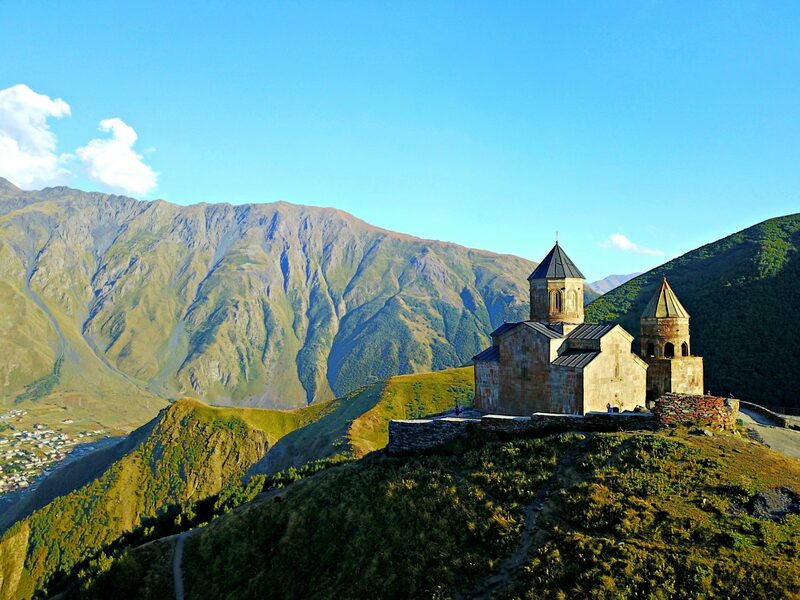 While in Kazbegi you MUST hire a driver and take the treacherous drive to this incredibly gorgeous Church located high in the mountains. Discovered in 1984, this recently opened to the public cave is incredible. 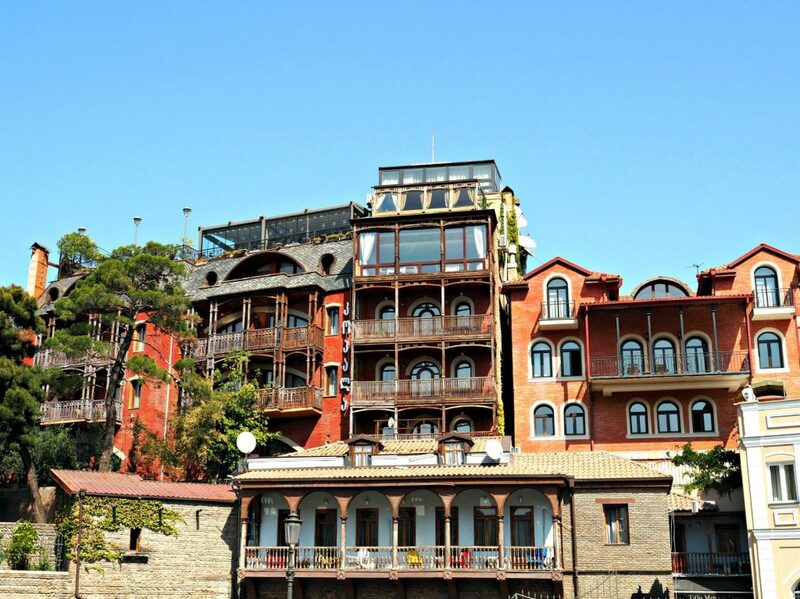 It’s located in the Imerati Region of Georgia which is about 2-3 hours from Tbilisi but worth the drive. 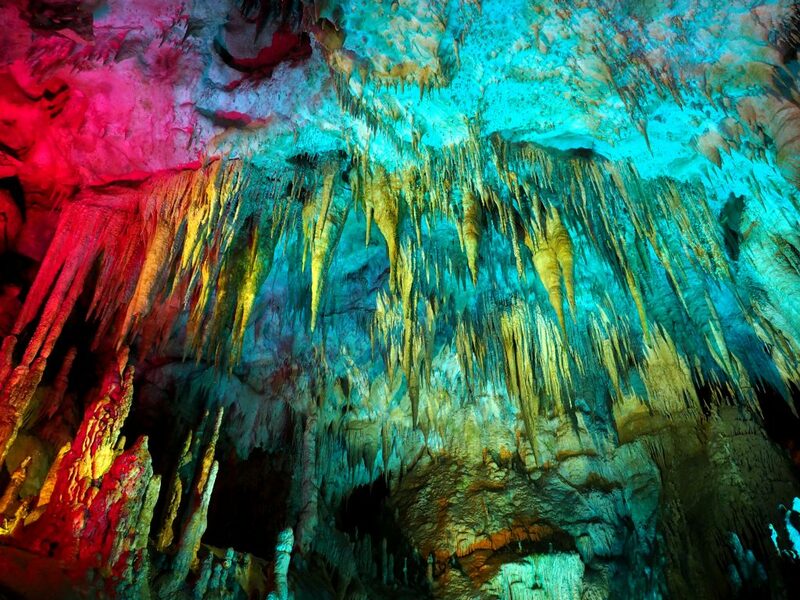 They’ve turned the cave into what appears to be an art installation with lights and classical music playing. Bonus part is the boat ride through the cave at the end. 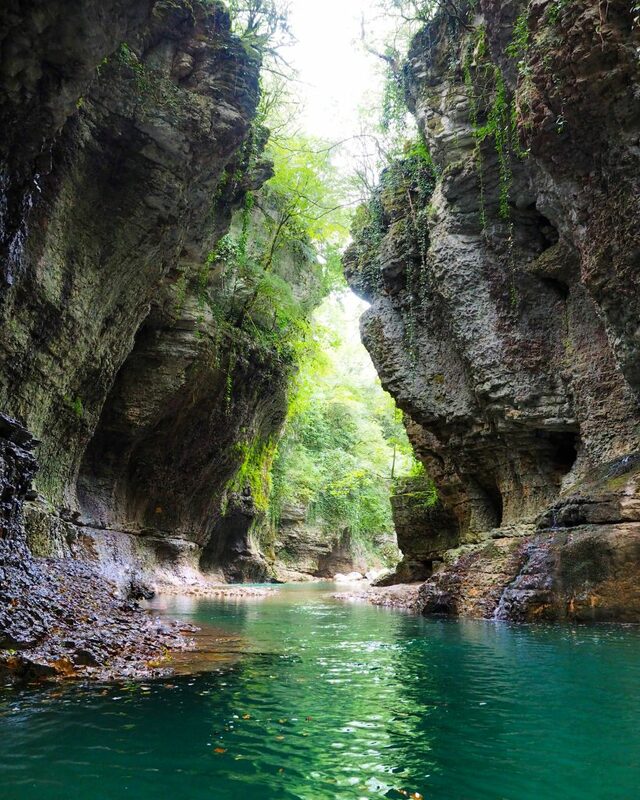 This gorgeous canyon with its deep green waters is natural beauty at it’s finest. Rent a boat and paddle through the picturesque waters making sure to stop at the waterfall. No, this isn’t necessarily a specific place to see. 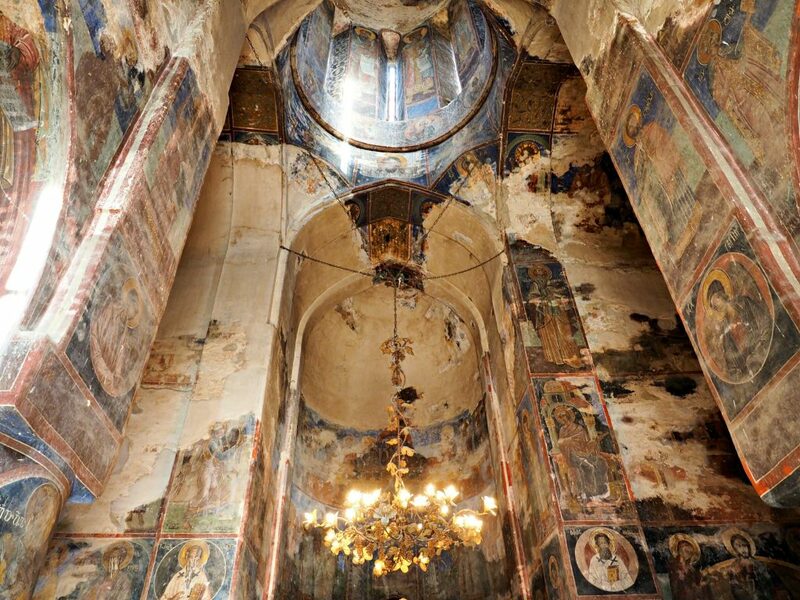 However, Georgian churches are some of the most beautiful I’ve ever seen. 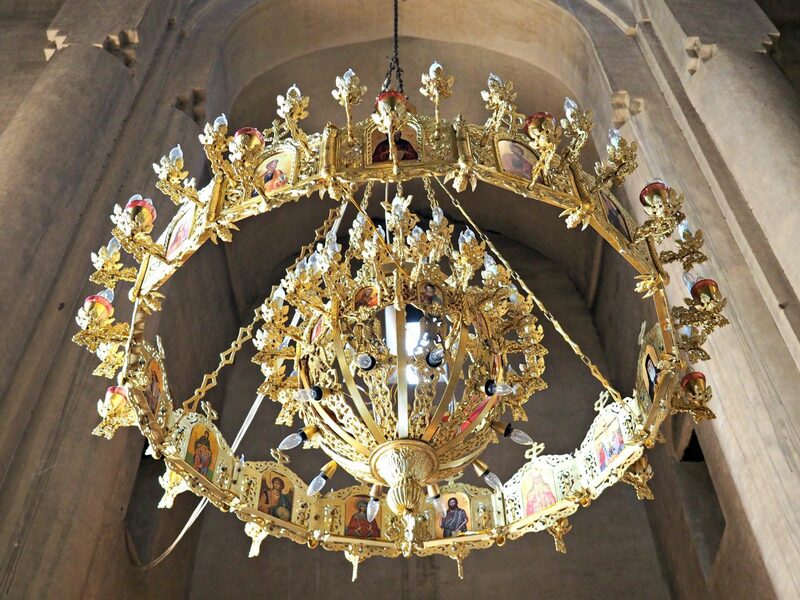 Some churches are so old it’s hard to wrap your mind around it. 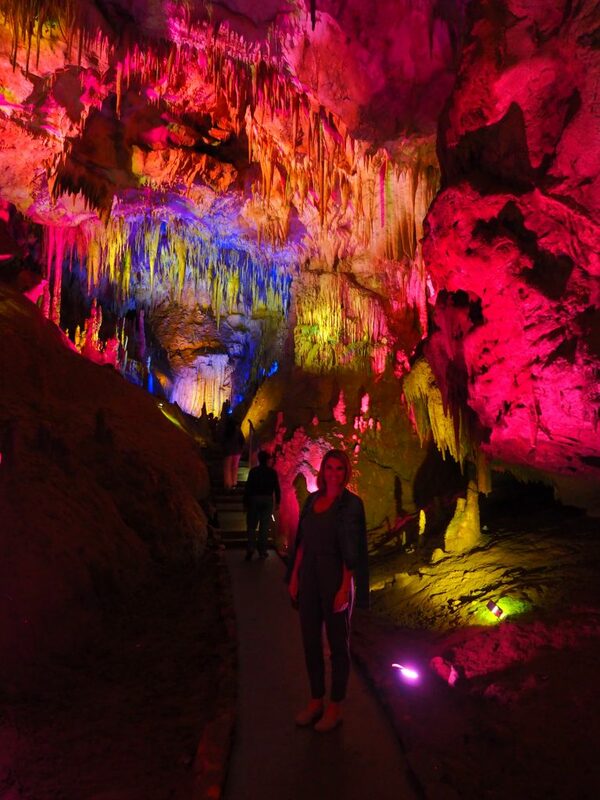 They’re definitely a must see while in Georgia. 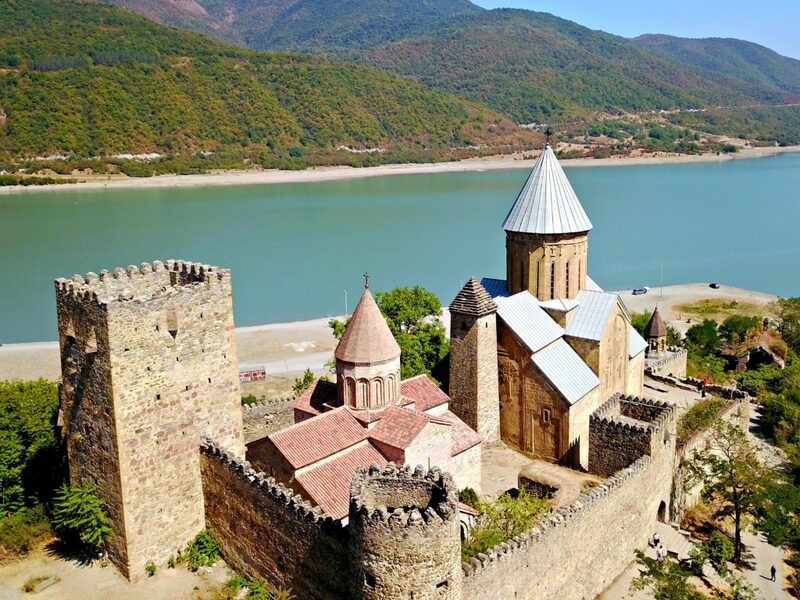 This beautiful 13th century fortress sits on bright blue waters of the Aragvi River. Aren’t convinced to visit yet? Check out my latest video!